This colt is from the first crop of the multiple Group One winning son of SHOW A HEART, TOORAK TOFF, who coincidentally was also sold through the Magic Millions sale ring. SHOW A HEART was himself a 4X Group One winner who has since sired two Magic Millions winners. He started his stallion career with a bang claiming Australia’s Champion First and Second season Sire awards. This was achieved through the likes of MIMI LEBROOK (Magic Millions winner), HEART OF DREAMS (G1 Cadbury’s Guineas winner), WOORIM (G1 Oakleigh Plate winner), and of course TOORAK TOFF. 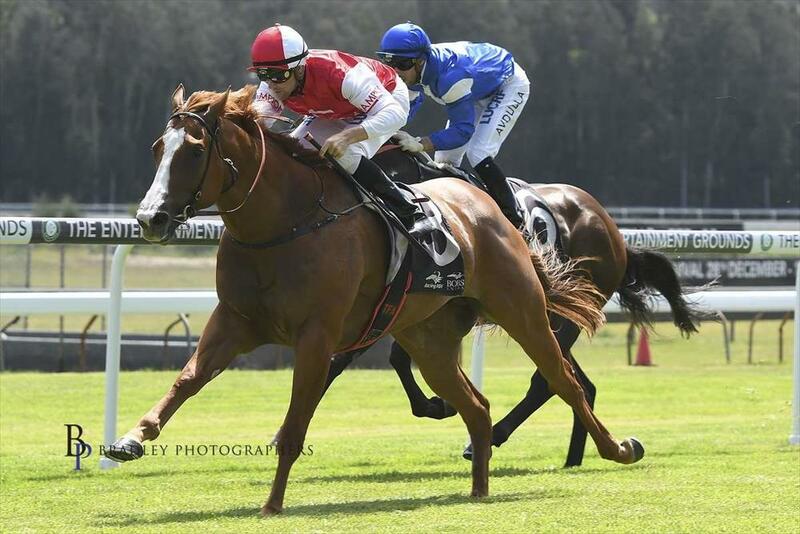 TOORAK TOFF notched up 6 wins, three of which were as a two-year-old and he won at distances up to 1400m. He was a precocious racehorse himself, winning the Adelaide Magic Millions as a two-year-old but more impressively he continued this class right up through to his four-year-old career, before he was retired to commence stallion duties. He kicked of his three-year-old career winning the Vain Stakes (1100m), where he came from last to beat STAR WITNESS. This in turn gave him the opportunity to have a crack at the Golden Rose (1400m) which he won in dominant fashion, again coming from the back of the field and running down emerging young stallion HINCHINBROOK. In doing so, he recorded the fasted race time in Golden Rose history, smashing other winners such as HALLOWED CROWN, ZOUSTAR, EPAULETTE, MANAWANUI, DENMAN, FORENSICS and DUPORTH. As a four-year-old, he continued his winning ways by claiming the Rupert Clarke (1400m) stakes beating WOORIM and another promising first season stallion, SMART MISSILE. Physically this colt was a sale standout, he was on our shortlist from day one. He is out of DANEHILL’S female family and the pedigree has produced to recent sires in DIRETRIBE and AL SAMER. The pedigree is current through the deeds of KNEELING and THAT’S A GOOD IDEA, both of which have been stakes performers within the last 12 months. This is an Easter quality pedigree matched by a great physical, we felt he was even stronger than TOORAK TOFF as a yearling. The two year old colt out of the mare, MR HUMPHRIES (trained by Danny O’Brien) has run second is his only start, this shows the precocity of the female family.